On Tuesday afternoon, approximately 48 hours before Ethereum Constantinople, five protocols focused on short-term scaling solutions and issuance reductions, was slated to go live, reports arose that the upgrade will be delayed. Christine Kim and Nikhilesh De of CoinDesk recently reported on the matter. The two journalists explained that on Tuesday, ChainSecurity, a smart contract auditor, revealed that the integration of Ethereum Improvement Proposal 1283 would allow for attackers to steal users funds. In an emergency call, which saw Vitalik Buterin, Hudson Jameson, Afri Schoedon, and others make an appearance, core developers confirmed that the hard fork upgrade should be delayed, as the issue is assessed. Regardless of this delay, many crypto commentators and researchers have claimed that the Constantinople upgrade will bring long-term benefits to the popular blockchain network. Alex Krüger once noted that considering simple supply and demand economics, Ether may get a tailwind due to Constantinople’s supply issuance reduction. He added Ether holds at $150, Constantinople will only force out “pro miners” that are paying $0.075 per KWH, which is far from the “death spiral” that some cynics were awaiting. In the analyst’s eyes, hobbyist miners, whether paying $0.075+ per KWH or otherwise, will continue to hash away, as this subset of participants doesn’t care about short-term fluctuations. This, of course, is a presumably positive sign for the Ethereum ecosystem, as many pundits look to the health of mining prospects to determine fair valuations for cryptocurrencies. However, there have been skeptics. Han Yoon, the chief executive at multi-faceted crypto startup Lunar Digital Assets, took to his personal Medium blog last Tuesday to touch on the upgrade, slated to go live this Thursday. After an extensive analysis of Ether’s status in the broader mining realm, in which he claimed that the golden days of GPU mining are now in the rear mirror, the Lunar chief broke down Constantinople’s probable impact. Yoon noted that as it stands, Ethereum GPU miners are operating on extremely thin margins, with a ~$2,000 rig generating a mere $20/week at average electricity rates. The researcher went on to note that this already dismal situation is “all about to change.” Although he did laud block reward reductions, like Bitcoin’s halving or events of similar caliber on Ethereum’s chain, as “beneficial economically,” Yoon noted this so-called “thirdening” couldn’t happen at a worse time. He noted that Ethereum’s hashrate could fall drastically after the upgrade, which would hurt ETH’s value proposition in turn. Constantinople may also drastically increase ASIC-induced centralization. Anyhow, this recent news has sent the asset tumbling. At the time of writing, ETH is going for $120 apiece, posting a 6% loss over the past 24 hours. Ether Purportedly Stolen From Cryptopia: We recently reported that Cryptopia, a New Zealand-headquartered exchange focused on altcoins, was hacked. 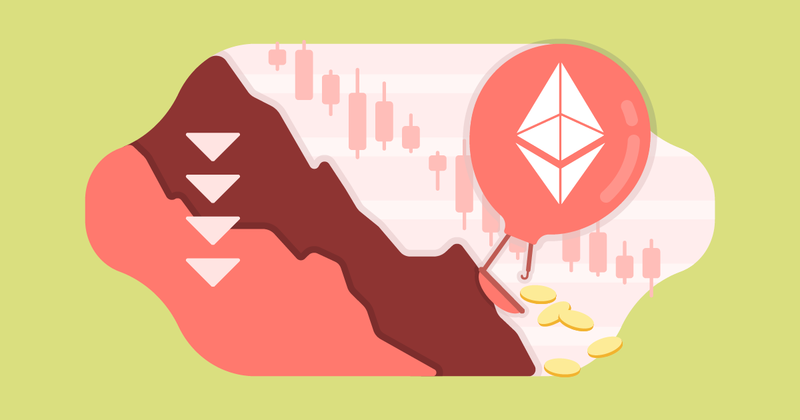 Although the company didn’t divulge what assets were stolen, only claiming that “significant losses” were incurred, analysts suggest that upwards of 20,000 ETH ($2.5 million) fled the exchange’s wallet on the day of the attack. Crypto Analysts Expect Ethereum Competition In 2019: Kyle Samani of MultiCoin Capital claims that Ethereum’s hegemony over the smart contract realm will be challenged in 2019, as projects like Cosmos look to usurp the platform’s rule.